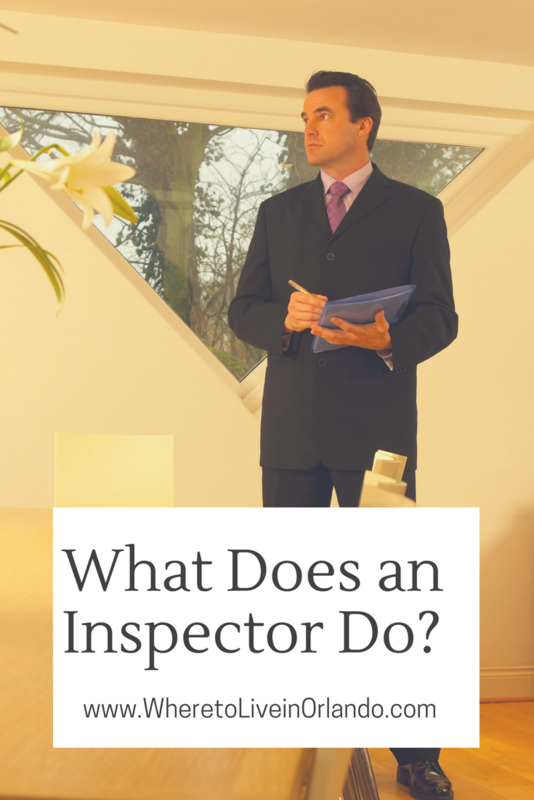 What Will a Home Inspector Do? What exactly does a home inspector do and how long does it take to inspect the home? These are questions I often get asked from time to time. It’s important to understand everything that a home inspector can do and what you should expect out of your inspection. Home inspections can take anywhere from one hour to four hours depending on the size of the home and the extent of the inspection. Homes that have several outbuildings, larger homes or more square footage will naturally take longer. Homes that are difficult access may also take longer. It’s important that homeowners try to allow access to the attic, crawlspace and any other odd or inconvenient places to help the process along. The average home inspection takes about two hours and we always suggest that the home buyer or future homeowner accompany the inspector to ask questions and understand all the details of their new home. A home inspector will inspect the grounds, exterior surfaces, windows and doors, the roof, attic if applicable, interior rooms, basements, crawlspace, plumbing, electrical and heating and cooling systems. Grounds: the home inspector will inspect to the grounds to make sure there’s no evidence of standing water, verify proper drainage, check for any leaks and make sure that the driveways, sidewalks, walkways, septic tanks and downspouts are all working properly and are in good condition. Structure: A home inspector will verify the ridge and fascia board lines, siding, foundation and window and door frames to verify if they are square, sagging, bold or level. Exterior surfaces: Home inspectors will verify there is adequate clearance between the ground and wood siding materials, verify structural integrity on masonry, stucco, vinyl or aluminum siding, exterior paint and all exterior surfaces. Windows and doors: Your home inspector will check for wood frames, joints around the frame, no broken glass or broken seals, and double checked the drip caps installed over Windows if applicable. Roof: A thorough inspection of the roof is generally required, however, if a home inspector suggests an additional inspection with a qualified roof inspector or roof installer this is something to consider. Most home inspectors will checked that there is no evidence of leaks, that all of the shingles or composition shingles are intact, verify the gutters, flashings around chimneys and check for decay or stains. Attic: If the home has an attic your home inspector should verify that there is no damage inside the attic and that it has adequate ventilation. Your inspector will check that there is no plumbing, exhaust or appliance vents terminating in the attic and that there is no electrical splices. Interior rooms: This is where your home inspector will probably spend most of the time verifying that there are no significant cracks and that most items are in good working condition. They will rate the level of condition for heating and cooling sources in each room, adequate number of three-pronged electrical outlets in each room, light switches, fireplaces, working vents, appliances in the kitchen, leaks in bathrooms and verify that everything is in good working order. If there’s something that is not working or needs to be corrected, your home inspector will make note of it. Basement and crawl space: If the home has a basement, the inspector will check that there is no evidence of moisture or exposed foundation and that everything is been insulated properly. In crawl spaces, inspectors will verify adequate ventilation, no evidence of insect or pest damage and a proper insulation between crawl spaces and heating areas and no evidence of moisture. Plumbing and electricity will be checked on both interior and exterior rooms and locations in the inspector will verify that everything is up to code. Heating and cooling systems will be checked and items such as smoke detectors and carbon monoxide detectors will be verified that they are in good working order and that there are enough for the size of the home. Each home is different but most home inspectors have a good checklist of items that must be inspected. For more information or for Clermont real estate tips and properties, browse the website or call me for personalized service. Do new homes need inspections too? Can the Seller’s Inspection response kill the sale? What do inspectors look for on lakefront homes?